One of my favorite things to do in town has always been to enjoy a drink and a meal on the waterfront. Not many places in this world get to enjoy a beautiful waterfront spot, with interesting industrial activity and a lively crowd. 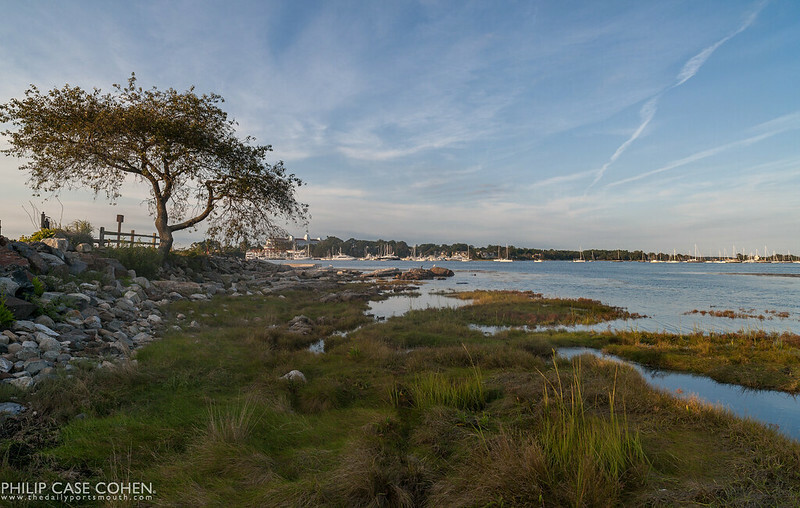 In this image, the new Martingale Wharf building can be seen across the water from the Portsmouth Harbor Cruise dock. You have to click this one to see it large. This boat heads out into the Atlantic Ocean as evening set in, navigating the Piscataqua river with its massive flood light. As seen from Great Island Common in New Castle. A chilly drive along the coast rewarded us with some beautiful seascape shots this weekend. The wind was so strong that each of the waves gave off a head of mist as it began to break rolling towards the coastline. I love this shot as the freighter is hiding out in the background on the horizon, just before it made its way up the Piscataqua to unload. 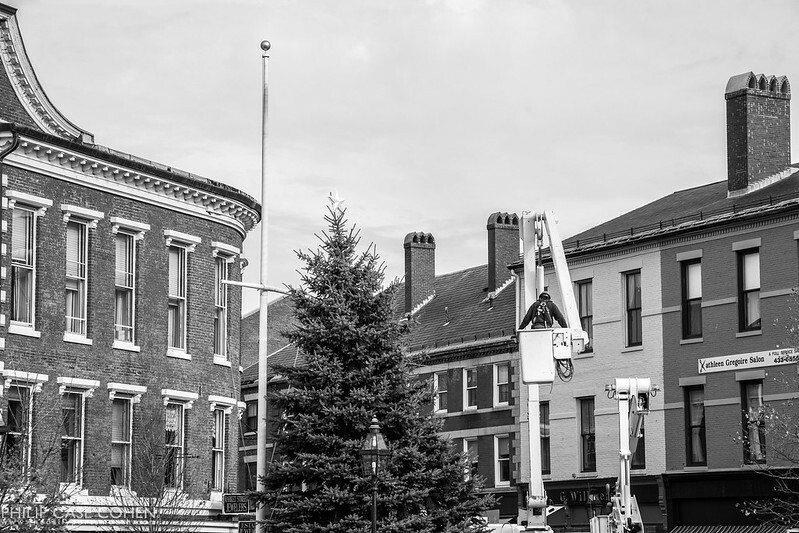 The City began the installation of the Christmas tree in the heart of Market Square downtown this past week. 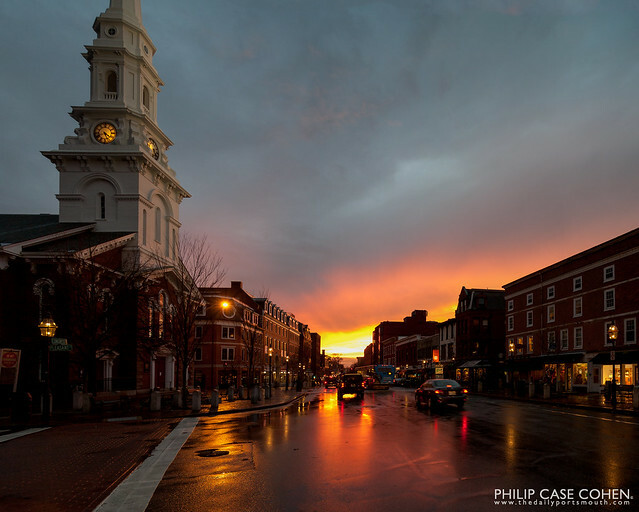 With the arrival and departure of Thanksgiving, it’s full speed ahead towards the holidays in the seacoast. I hope everyone is surviving their first weekend of eating and shopping of the season! Along the coast in Rye, New Hampshire on the course at Wentworth By The Sea Country Club. I’ve always loved this tree and the view of the Wentworth Marina. With the return of the fall and the impending winter season, freighters have begun to repopulate the Piscataqua River. This means a few things, but one of the things I’m most excited about is the return of my series “Profiles on the Piscataqua”. 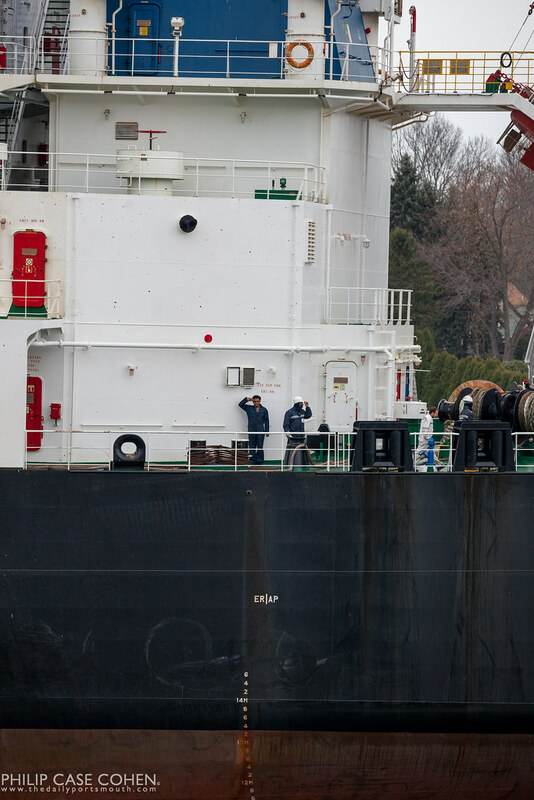 The workers on these freighters are so excited to see people excited to see them that they almost always put on a good show and ham it up when they see that I have a camera. 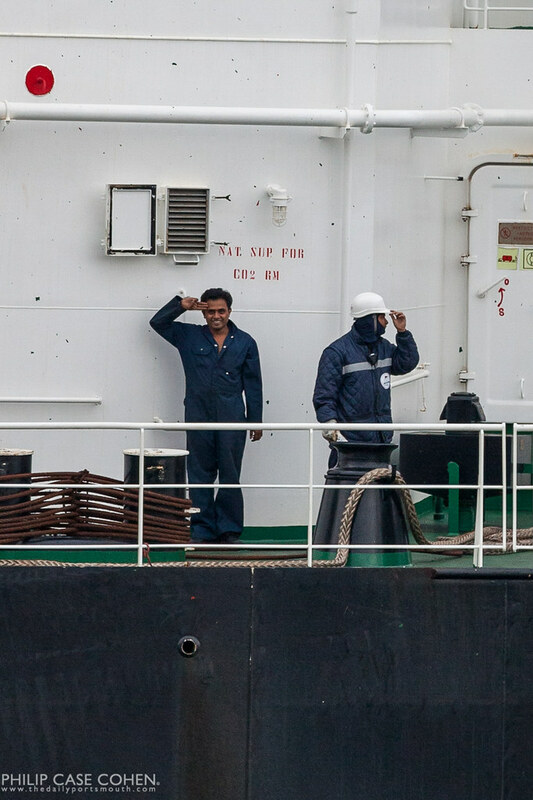 This guy’s first reaction was two thumbs up, but his salute followed a little bit later when he realized I was still taking pictures of the ship. It would be fascinating to sit down and hear about their day to day.